Considering how easy this was, it was some really awesome ice cream. It was still nice and creamy even though there were no egg yolks involved and the peanut butter flavor came through really well. 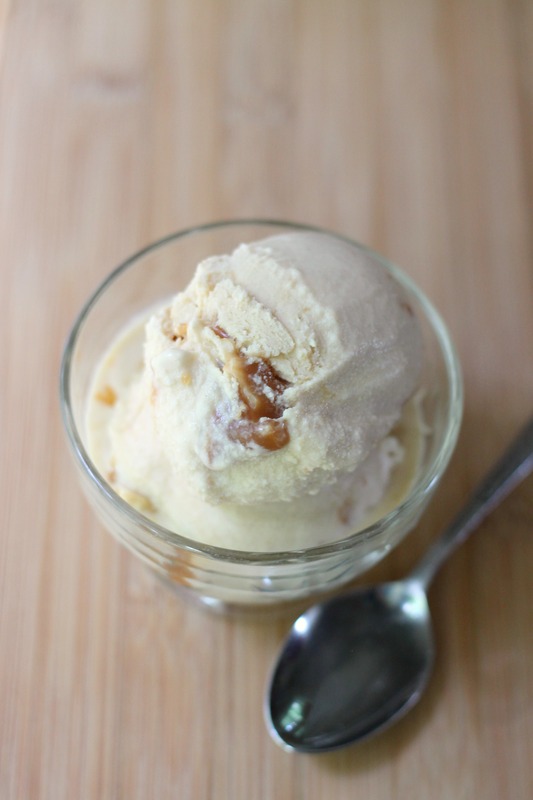 We swirled our ice cream with salted caramel sauce, but I think that some homemade fudge sauce or some melted peanut butter would be even better. Reese’s cups would be great as well! Combine all of the ingredients in the bowl of a food processor and process until completely smooth. Chill thoroughly (we usually let our ice cream base chill overnight in the fridge). Once the base is cold, freeze in an ice cream maker according to the manufacturer’s instructions. Once the ice cream is at a soft-serve texture, transfer to a container and freeze until solid, at least 4 hours. Enjoy!